I have a love hate relationship with nail polish. I love the look of freshly painted glossy nails, I hate that I am a clumsy sod who manages to chip them almost instantly. Over the years I have spend a lot of money on high end brands of nail polish thinking that the bigger the price tag the better the polish, well for me, this is not true at all. You may have heard and seen the brand Essence before, but if you haven't they are a beauty range in Wilko's stores across the UK and they have an online shop also. I haven't tried much of the range as yet but I have been repurchasing their nail polish for some time now so I thought it was about time I shared how much I love them! 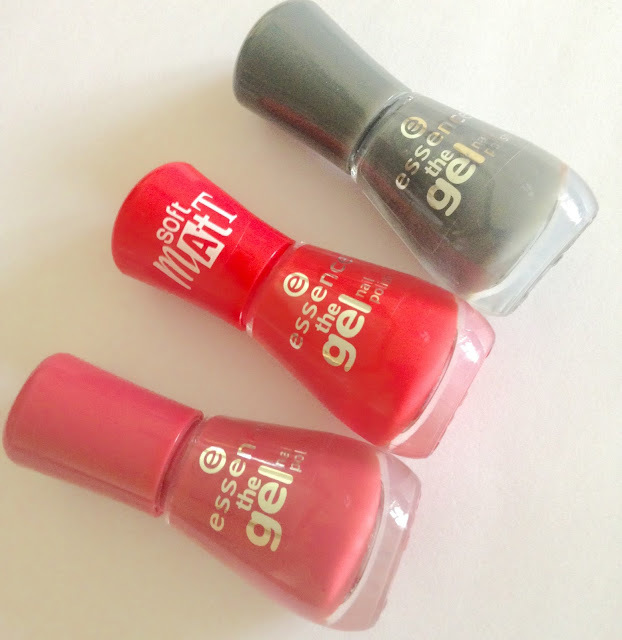 Essence have a range of different style polishes but the above bottles are my absolute favourite and the best bit, they cost a tiny £1.60 each! "Long-lasting love! the next generation of essence nail polishes is here! The special nail polish formula provides nails with an incredibly long-lasting manicure and an amazing gel shine. The innovative colour technology offers intensive colour combined with perfect coverage." Why do I love this bargain nail polish so much? Well, there is a wide range of colours to choose from, the shades usually only take one coat and they are long lasting. I was wearing the pink shade last week and people commented how nice they looked and if my nails were real, which is a big compliment to me as I am useless at looking after my nails. So, if your not looking to break the bank but want a high quality finish then get yourself to Wilko and grab a handful of these nail polishes.